AMS Connect is a secure extranet that allows you to connect with your offices and clients using any device, virtually anywhere in the world. AMS Connect makes file sharing, secure document storage, and document management systems simple. Securely share, access, edit, track, manage, and control folders and documents. AMS Connect includes mobile apps that allow you to securely connect with your clients and your office even when you are working remotely. AMS Connect is designed to adapt to your business needs and offers site branding that will make your site feel and act like your own, with customized workflows and document management. The AMS Connect software can easily replace your existing project management tools with a fully customizable workflow system that provides you with full control of the data. AMS Connect allows organizations to replace or add a secure intranet that is easy to maintain and deploy, providing small business intranets and corporate intranet solutions. In today’s fast paced, global economy, businesses are rapidly trying to collaborate with their customer base, auditors, and third parties, all while trying to maintain security and flexibility as their needs change. AMS Connect was designed first and foremost with flexibility and security as a top priority. In addition to access from any internet connection, the features include customized site branding, document sharing, customized workflows, flexible database designs, surveys, tasks, etc., while providing high-level security down to a specific items. Document security is critical to a company’s success, but many solutions on the market take the control of your documents away. Whether you use email or a shared drive, your ability to audit, modify, or change permissions on your documents is eroded. AMS Connect was designed to allow you to maintain complete control of your documents with the assurance of secure document storage. Going beyond simple document sharing, AMS Connect allows you to audit access to your documents, choose who and how a document is shared, and even tie your documents to other site features such as calendar items, project management, or surveys. Technology today provides us with the opportunity to access data virtually anywhere in the world, even in outer space. The downside is that accessing your data online can create security issues, can be difficult to track access, or worse, data can be scanned and used by third-party providers. 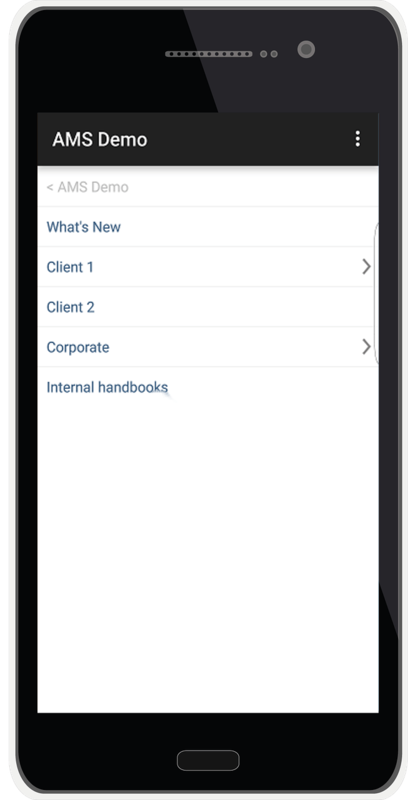 AMS Connect has created customized apps for Android™ and Apple® devices that are designed to securely access your documents when you or your client is on the go. Through our secured apps, you can securely download, review, and edit* your documents all via your cell phone or tablet. If you need more, most of the features in AMS Connect’s site will work in your mobile browser. * May require additional software such as Microsoft 365 or Adobe Editor. Your collaboration with your clients is uniquely yours. Most online collaboration and document sharing tools are rigid, inflexible, and are often branded with their own layouts and logos. This creates the perception with the client that their data is being accessed by a random third party or confusion at to who they are working with. AMS Connect was designed to allow clients to brand the site with their own logo, colors, and even navigation. 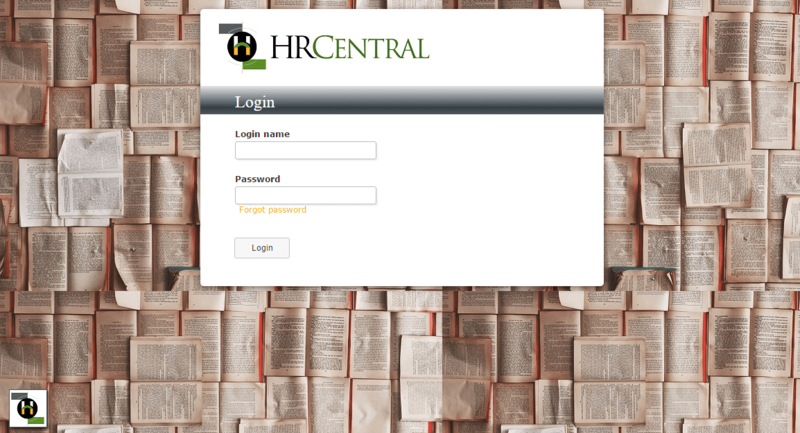 Within the site, clients can create customized workflows, databases, tracking systems, surveys, and document storage. These features even work together, for example: if you have a document that is being worked on by multiple individuals, you can house the document in the documents area. You can then create a workflow so when the assignment changes around the document, the system not only notifies the new owner of the document that it is ready for their review, but permissions can also be changed so that prior or future individuals don’t have access to that file. This adaptability in the features feature offers locked down security with flexibility in document management. Project management in today’s economy involves coordinating and collaborating with individuals spread out in many locations. Often project management software doesn’t allow or is severely limiting on how you interact with those outside and inside your organization. This limitation leads to poor communication, lack of planning, and wasted time. 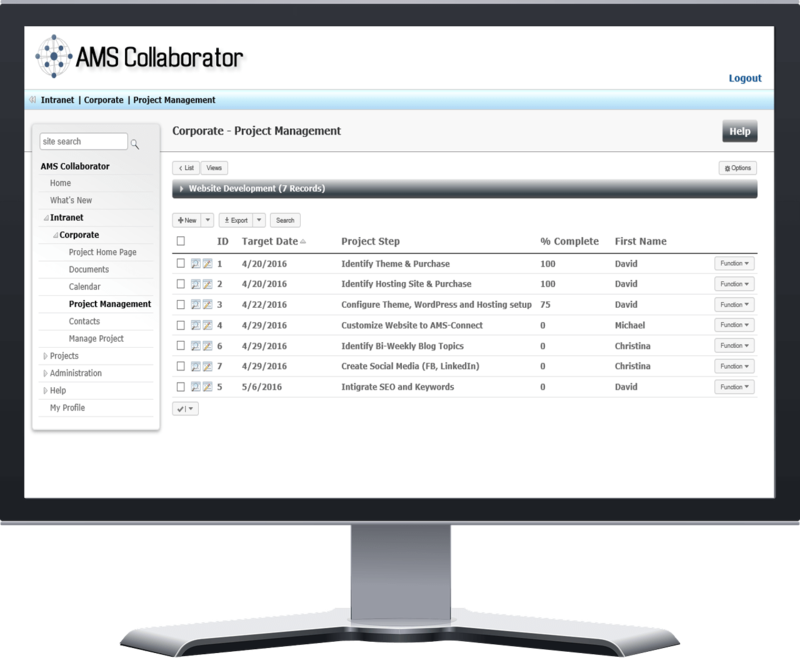 AMS Connect allows you to create your own project management tools and document management system. Our software allows you to create your own, fully customizable workflow solution. 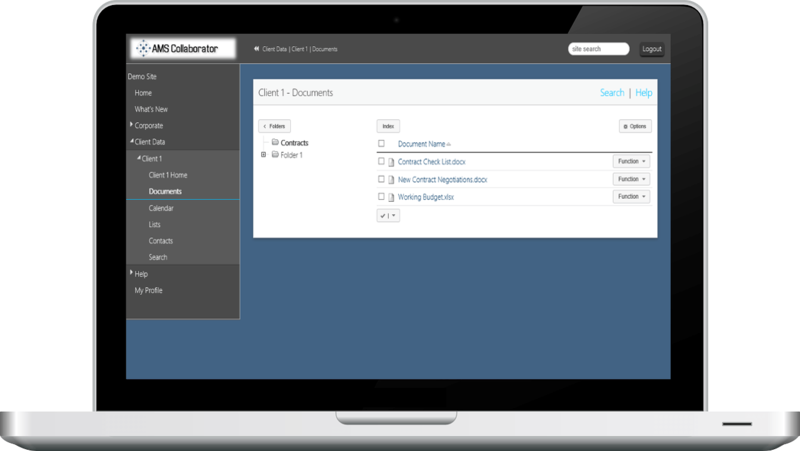 This workflow solution allows you to work with remote offices, clients, and even auditors when reviewing documents, processes, or project management, all while maintaining control of security and tracking. How many of your employees work in different offices, at home, or while on the road? Most workers are constantly connected with their office, whether they are at remote locations, working in an airport, or catching up while in the hotel. Unfortunately, most intranet solutions today have to secure their system by not allowing access outside of the physical organization. 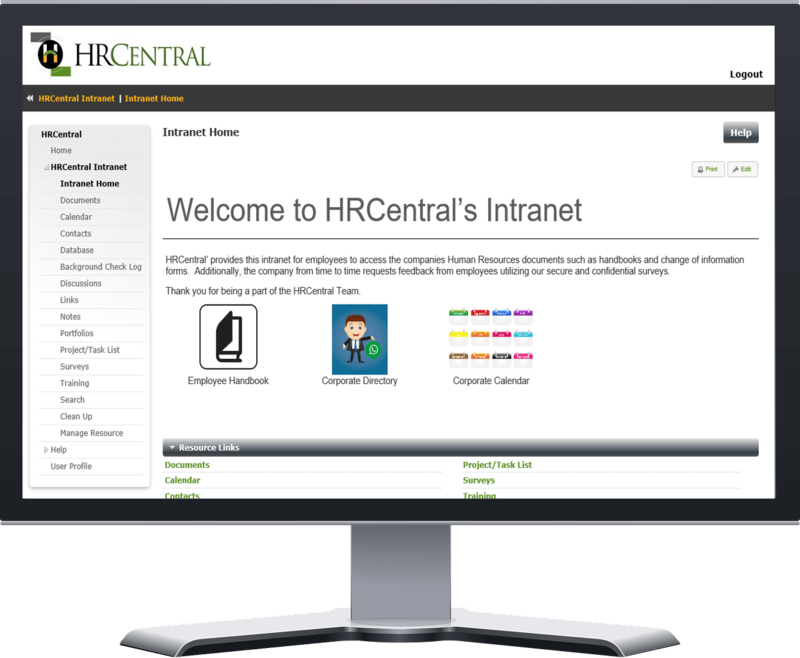 While this creates strong security, your remote and mobile employees are unable to fully access your intranet. 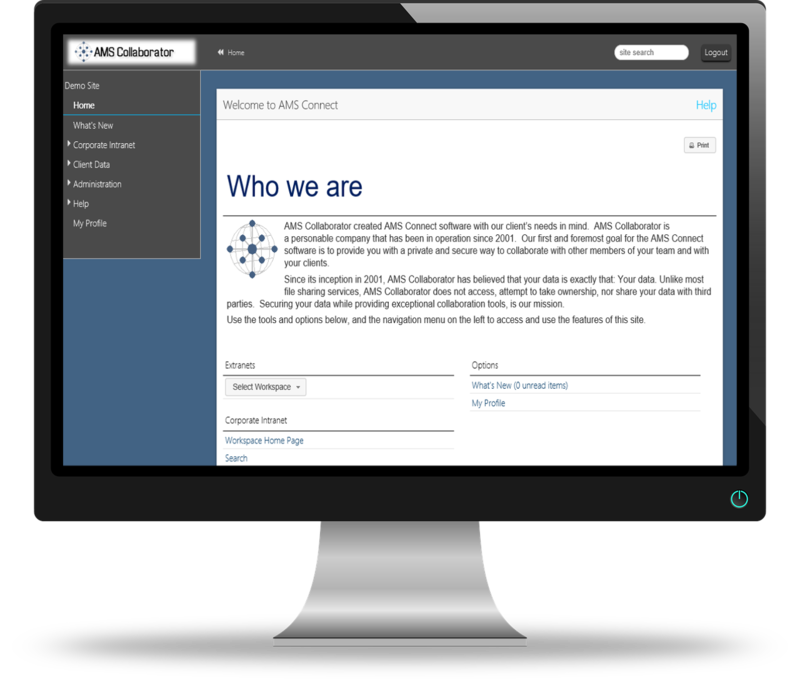 AMS Connect not only allows secure collaboration with your external clients, it can also replace or enhance your own internal network, offering a variety of solutions for small business intranets and providing larger, corporation intranet solutions. Your staff can interact and collaborate on documents, workflows, and project management whether they are halfway around the world or in the office next door, all while using the same software they utilize for collaboration with external parties.